Mr. Thamilchelvan has been visiting the Batticaloa district since last Sunday, and has held a number of meetings with civil organizations, journalists, and local LTTE leaders. 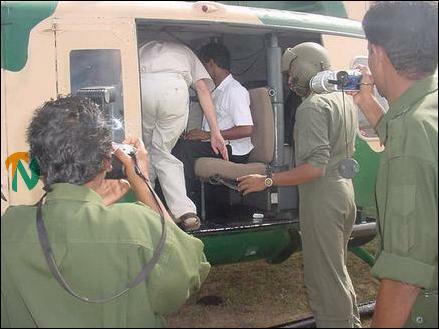 The LTTE political leader was to visit Trincomalee by special Sri Lanka Air Force helicopter on Friday morning and would stay there for three days, the Uthayan said. While in Trincomalee, according to the newspaper, he will meet with Col. Pathuman, the LTTE commander for Trincomalee and Mr. Thilak, the LTTE’s political head in Trincomalee. 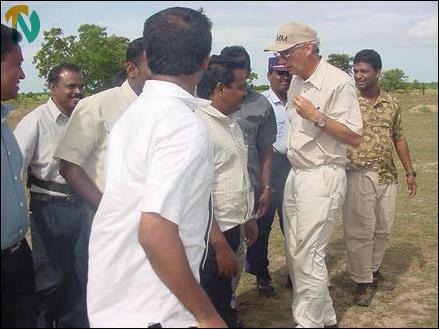 The newspaper reported that Mr. Thamilchelvan will also visit the LTTE’s Kurankupanchan camp, which has been the subject of recent controversy, with the Sri Lanka Monitoring Mission taking the stand that the camp is in Sri Lankan government controlled area, while the LTTE insists the area has always been under its control. 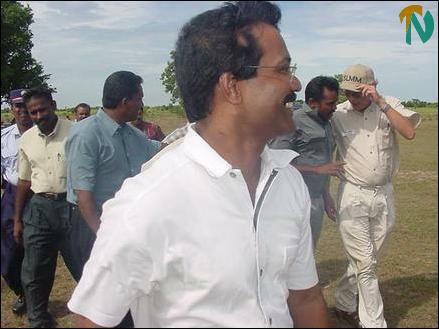 When asked by journalists in Batticaloa, Mr. Thamilchelvan said he would comment on the Kurankupanchan camp issue only after holding discussions with the LTTE’s Trincomalee leaders. However, in his meeting with Eastern journalists, Mr. Thamilchelvan said that the Kurankupanchan area is strictly under LTTE control, and alluded to the fact that when the Sri Lanka Navy was constructing a new camp in Neduntheevu, the SLMM did nothing about it, though the LTTE protested, the Uthayan said. Update: Thamilchelvan left Batticaloa at 3:30 pm Friday.